Liz is a very talented photographer! We had a destination wedding. Liz showed up on time. We also had the pleasure of meeting her husband, who is also a photographer. While Liz took photos of us girls, her husband took a few pictures of the guys and the wedding site. We emailed a list of requested photos. They went through and took them all in order and even added a few along the way that we had left out. She was willing to stay in town for our reception, which was 3 hours later. We were having so much fun that we asked them to stay longer so that they could catch our sparkler exit. Of course, she said yes! She even took photo requests from family members. Liz has a great eye and suggested multiple poses along the way. We are having a very hard time deciding which ones to put in our album because they are ALL so good! When we take our vacation in Florida, we will ask Liz to take our family photos! Thank you, Liz! 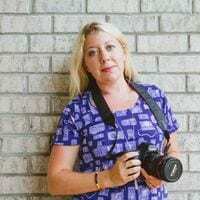 – Angel H.
Liz was our photographer in November 2016, and we absolutely loved her! She made everything so easy, and fun. She’s professional, but also warm and relaxed. Our pictures turned out perfectly, and we received them so quickly! I look forward to working with Liz again in the future, and highly recommend her for any kind of photography. What a complete professional! Very accommodating with schedule and took beautiful photos. We got married on the beach after daylight savings and Liz got some beautiful day and night photos. She also had some fun idea for photos. Highly recommend her and would definitely use her again. -Patrice B. Great session and terrific photos of our special event. – Bruce D.
Liz was truly amazing. The photos were stunning and I will recommend her to everyone. My sister actually used her for her wedding. – Audrey P.
I seriously couldn’t have asked for a better photographer for our intimate wedding. Liz went above and beyond from beginning to end. From using inspiration from my Pinterest board that she asked me to send her to helping me with my veil. The pictures came out beautifully. Thank you so much!! 🙂 – Jillian T.
Liz was amazing!!! She captured our sunrise wedding perfectly!! We are so so so so happy! -Katelyn A.
Liz did a great job taking our family photos at the beach! I would highly recommend her for you photo needs! -Stuart M.
She was great and so were her pictures! -Sue O.
Liz meet our family of 14 near our resort for our photo session. She was so sweet and beyond patient with the little ones! A wonderful experience from beginning to end! Our pictures are amazing! Thank you so much! -Jacob H.
Wow! We are so very pleased. Liz worked with our group of 11 to create the MOST beautiful family pictures. She was professional, but also warm and friendly. She was patient with our silly ones and encouraging with the shy ones. She had great ideas for settings and poses. All of the kids are so very pleased. Can’t wait to get these up on the wall. -Trey C.
Vacationing in Florida had Liz take family photos. They turned out great. She was excellent to work with. Will promote her to others. 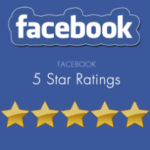 -Kathy W.
Had great suggestions and was very flexible with her time. She was on time and communicated well. She took pictures that everyone was happy with. Thanks for everything! -Aaron O.
Liz recommended poses and locations for the pictures. She met us and even brought her assistant to assist with the photos. She was very professional and friendly and knew what would look good and what wouldn’t. -Adrian T.
Liz Scavilla photographed our family gathering at Daytona Beach in early April. Group photos of 16 family members plus many couples and small group photos on the beach. Liz did a great job! We are happy with her photos and direction to capture this very special family occasion. -Nancy S.
My pictures came out better than I could have hoped they would. Liz was super friendly and easy to work with too. I will be going back to her. -Julie B.
Liz took engagement pictures for us and we couldn’t have been happier. She was so sweet and accommodating. I was hoping to surprise my fiancé and little girl and she pulled it off like a pro! First of all she worked with me on the time and location and was so patient and understanding as I worked to get my girls there without them figuring out what was going on. Then she totally blended in like just another person taking pictures on the beach until the right time. She really made our day feel special and we couldn’t be happier with the photos. I would not hesitate to recommend Liz to anyone needing a photographer. Great job Liz and thank you again for being so awesome! -Scot P.
Liz is the perfect person for family shoots – patient, upbeat and creative! She handled over ten of us with ease, and all with smiles. Priceless! – Ashleigh W.
Liz photographed my family of four in several outdoor settings (on a pier, in a park, etc.) and did a great job capturing us in natural, happy states. She was generous with her time and I was impressed with the efforts she made to capture different poses and work with all of us. Her fees were reasonable and the pictures were ready in only a few days. She was fun to work with as well, and I would definitely recommend Liz to others. -Sharon T.
We really enjoyed our session with Liz. She was professional and patient with our busy-bee 10-month-old. We loved having our photos taken. -Jackie W.
Liz is amazing. She did a wonderful job taking headshots of nearly 90 employees in an hour and a half stint, in fact we were able to wrap it up in less than the time allotted. She also took photos of our staff retreat and a retirement party for our former director. Liz is friendly, flexible, efficient, very professional and overall a pleasure to work with. -Kimberly A.
Liz did an excellent job under very windy circumstances. She takes many poses an is very knowledgeable with lighting. Will use her in the future. Highly recommend her an very reasonable rate. -Summer C.
Liz took our family photos at the beach, and they came out beautifully! She was very well-organized and very calm. Thank you for capturing our great memories! -Heather C.
My husband and I wanted to get some photos taken while on our honeymoon. Liz was great, she chose wonderful locations and positioning. I have done many photoshoots and Liz was very fun and easy to work with and her products turned out AMAZING!! -Ryelle S.
We appreciated Liz coming right to us at our resort condo rental in the evening. It made the night start out with ease. She had great ideas for our multigenerational family of 12. We especially love the panoramic of the family holding hands with our reflection on the beach. Liz’s prices are spot on and the delivery of a downloadable final product was great since we live out-of-town. We highly recommend Liz. -Erin R.
Liz did an outstanding job with our photos. First off, she was willing to meet us WAY out of her way to shoot in an area we chose. She did a variety of photos- traditional, natural, candid. We loved it! She did shots and backgrounds we chose along with ones that she wanted to try and worked with great speed. We have 2 small children and were able to get more than enough photos by the time our youngest (3months) was done. She edited the photos fast (under 2 weeks) and they are beautiful and affordable! We will definitely book our next family shoot with Liz! -Stephanie O. She has taken numerous pictures of my little family. Some of them are mounted on my wall. Her simplistic vision comes through so beautifully.. I love her and her work. -Denise B.
Liz did family/maternity photos for me. She was so easy to work with and went above and beyond to get some incredible photos for us. I’m so impressed with her workmanship and her turn around time was super quick. It was a lovely experience and I can’t wait to have her take my newborn photos!! -Nicolette K.
So of course there is the normal stuff you look at when trying to find a photographer like: do they take good pictures? What do people say about them? How are they priced? Will they be on time? Will they make me comfortable while taking photos? Etc. and Liz met all of these requirements! I had some family photos done for my twins 6 month “birthday” and our nursing celebration. Liz did amazing! She made me feel comfortable from the start and always had a way to get both of my babies to smile. She was very laid back and open to my ideas as well and we just synced perfectly. I would hire her 1000000 times again. LOVE her! -Angel B.
Liz was amazing from start to finish! Very accommodating and handled our large family well! She was so sweet and patient with the little ones who started to get a little grumpy. She captured some truly amazing pictures for us that we will treasure forever. – Jacob H.
Liz did an amazing job! Having a 3 & 5-year-old, I need a photographer who is patient & willing to go the extra mile to get my boys to cooperate. Liz did just that, resulting in me getting a lot of very beautiful pictures! -Shanna K.
Wow! We are so very pleased. Liz worked with our group of 11 to create the MOST beautiful family pictures. She was professional, but also warm and friendly. She was patient with our silly ones and encouraging with the shy ones. She had great ideas for settings and poses. All of the kids are so very pleased. Can’t wait to get these up on the wall. -Suzi C.
We had a great time shooting our engagement pictures with Liz. She was very easy to work with and very accommodating. The pictures turned out awesome and all of her suggestions and ideas really paid off. She did amazing things with just 2 lights and her tripod. We were very happy with the end result, we would hire her for the wedding pictures if we were having it locally. But we will definitely think of her if we ever need pictures taken in the future. -Emil T.
Liz was a total professional through and through. We explained our vision of photographs to tell a story of our Daughter Ashley and our son-in-law Austin. She did exactly that! The love present that day, shown through in her artistic abilities and she was fantastic to work with. Thank you Liz from the bottom of our hearts. -Angela B. She did so much more than what I asked! I was very lackadaisical in my direction, but she understood what I wanted- Genuine photos. Not a big fan of stiff, but rather in the moment. And she did just that. People love the photos because they showed our love for one another in a single moment. -Audrey B.
Liz was wonderful to deal with on our special day. She took lead and help direct us, coming up with some great ideas. The end result was a beautiful group of photos to commemorate our wedding day. -Lenny S.
Great job! I loved the photos, loved how patient she was with us, and she was very kind and enthusiastic overall. I would highly recommend her to do your photoshoot, especially if it is at the beach! -Ishani A. The experience was awesome. We came from out-of-state, she was very helpful in arranging the photo shoot on the beach. Our family candids and portraits turned out so sweet and fabulous. Thank you Liz for capturing us so well. -Bronwyn J.
Liz did excellent work on our wedding photos. She was wonderful to work with! 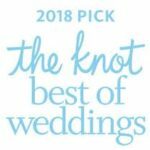 Thank you so much for our beautiful wedding photos! -Diana S.
Liz is easy to work with, affordable, flexible with scheduling, friendly, and great with the kids. We couldn’t be happier! -Francisco C.
Liz took our family photos at the beach, and they came out beautifully! She was very well-organized and very calm. Thank you for capturing our memories! -Heather C.